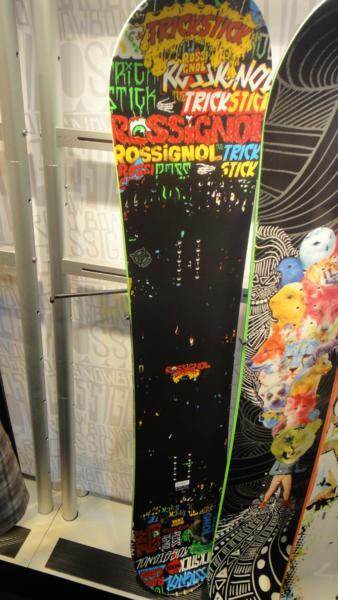 The Rossignol Trickstick is for sure a beginner park to all mountain freestyle board. I don’t expect or ask much from a beginner board. Most beginner riders just want an easy flex, easy board to one foot off the chair, flat base well and be a forgiving catch free ride. This checks all those boxes. 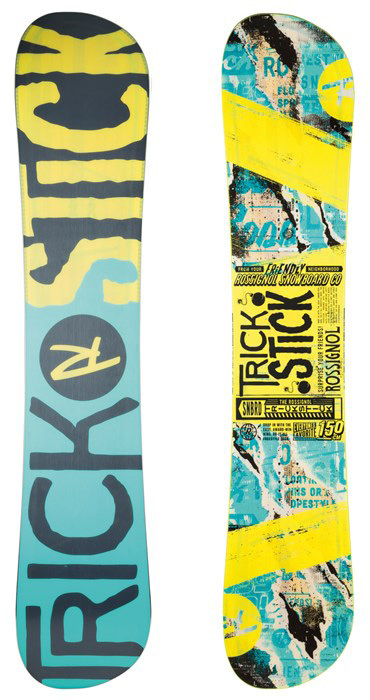 Since the addition of Amptek Technology (hybrid camber) the Rossignol Trickstick hasn’t changed much but it’s still a good board in this price range. The Rossignol Trickstick is far better than renting and many of the continuous rocker boards that are in this price range. If you want to learn the basics of freestyle to all mountain freestyle riding this is one of the best choices in this price range. On Snow Feel: Pretty fun and stable between the feet. The camber is pretty small here but it’s just enough to make the board act differently than a continuous rocker board. It has a little more bite in the snow than a flat to rocker board as well. It’s a good board to learn the park or the mountain on. Powder: Again this is is a twin so it’s not going to own it in powder but it floats very well for a board with a centered stance. Turn Initiation and Carving– Easy to turn for a beginner and it borders on super easy. No problem going from edge to edge quickly and it almost feels like a continuous rocker board. Making wider radius turns is fine and carving is ok. 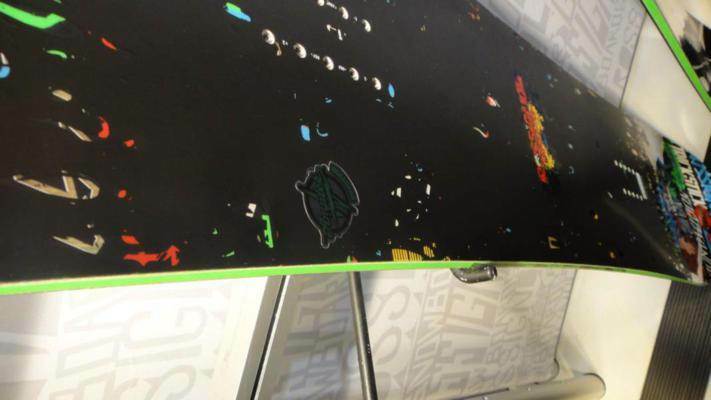 It can get a little washy and doesn’t have the fun feel that many of the Rossignol boards with more camber have. Speed: The base isn’t that great but it’s predictable and the board is stable if you start to enter into the moderate speed world. Uneven Terrain: Deals with uneven or bumpy snow very well. You can stay out all day with the Trickstick. Approximate Weight- It seems to feel in the middle of the scale. Nothing bad at all. Edge Hold: This is borderline great. It’s very good in harder conditions but not a board for snowment. Flex: Its a soft easy flexing board. Super easy to butter and play around on the mountain with. Pipe: It’s no pipe specialist but it sure is easy up and down the walls and very inviting for the beginner to intermediate rider. Jumps: very easy to take off on most jumps and not bad on an ollie. 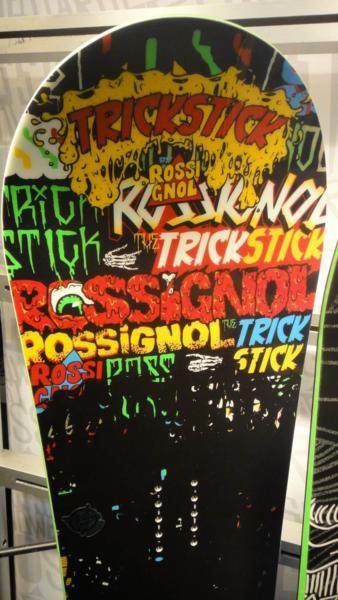 We try to get as many images of the Rossignol Trickstick, but forgive us if they're not all there.